Come find the right balance between old world charm and elegant upgrades. 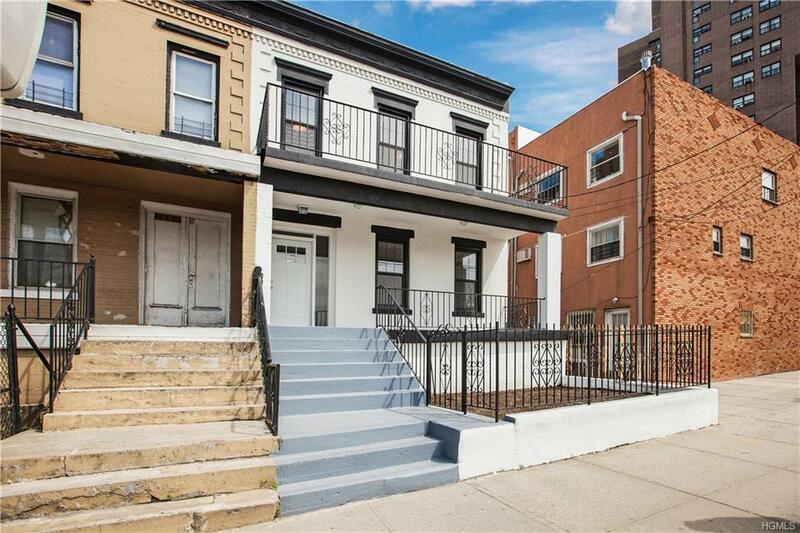 Nestled in the heart of Kingsbridge Heights is this outstanding two family property. The main level showcases an expansive floor plan featuring there sizable bedrooms, a fully renovated bathroom and a kitchen living room/ family room area that leads to the sleek backyard; simply put, an excellent space for entertainment. The top unit presents itself as a great income opportunity with four bedrooms, one full bathroom and a tastefully renovated kitchen. The home boasts a full basement, a white canvas for the interior designer in you. Amenities, shopping and public transportation are easily accessible and make the home a perfect investment.